We specialise in hard & soft landscaping and garden design. With over 15 years experience and expertise in all aspects of garden maintenance and design, we are able to ensure the highest standards possible. 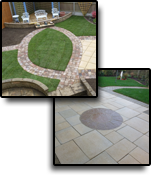 Our aim is to provide a professional and friendly service, keeping our prices affordable, and endeavour to keep our customers happy at all times by consulting with them at all stages of a garden project. 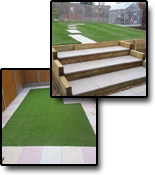 Our landscaping services range from a simple makeover to stunning garden transformations. 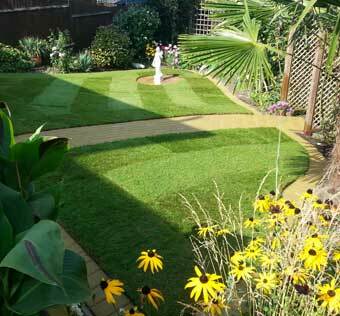 Please visit our Portfolio page to see a selection of gardens we have worked on for satisfied customers. We also offer a full garden maintenance service. This could be a one-off visit for a tidy up or a regular maintenance schedule that suits your needs. If you would like more information on our range of services, be provided with a free quotation, or if you would simply like some friendly advice then please contact us. We pride ourselves in offering a professional service. Our quotations are completely without obligation and the price we quote is the price you pay - there are no hidden extras.